Down 2-1 to powerhouse Germany in the Round of 16 during the 2010 World Cup in South Africa, England’s Frank Lampart launched a shot from just beyond the top of the penalty box. The ball floated over the outstretched arms of German keeper Manuel Neuer, slammed into the bottom of the crossbar, bounced down to the turf, back up to the crossbar, and down again when it was snagged and cleared by Neuer. Lampart raised his arms, believing it was a goal. His teammates raised their arms. His coach raised his arms. But the only two people whose opinions mattered — the referee and his assistant — indicated play should continue. “I knew it was a goal. I knew instantly,” Lampart said after, without even seeing the replay. He was right, and it wasn’t close. The ball landed about a yard beyond the goal line. The game should have been tied, and from there, who knows? Instead, Germany went on to win 4-1. They’d eventually finish third, while England was just finished. 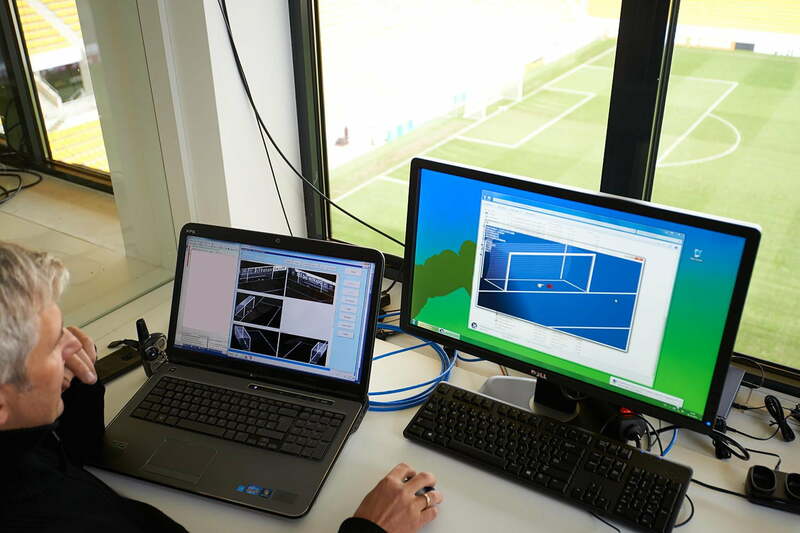 There’s no way FIFA could credibly hold the tournament without utilizing available technology. It was, without question, a monumentally embarrassing moment for FIFA, soccer’s governing body. Four years later, as the 2014 edition of the world’s most important tournament kicks off (amid reports of match fixing and bribery) soccer fans worldwide will undoubtedly find plenty of reasons to criticize officiating on the pitch when they watch the games, but the question of disputed goals should be put to bed. 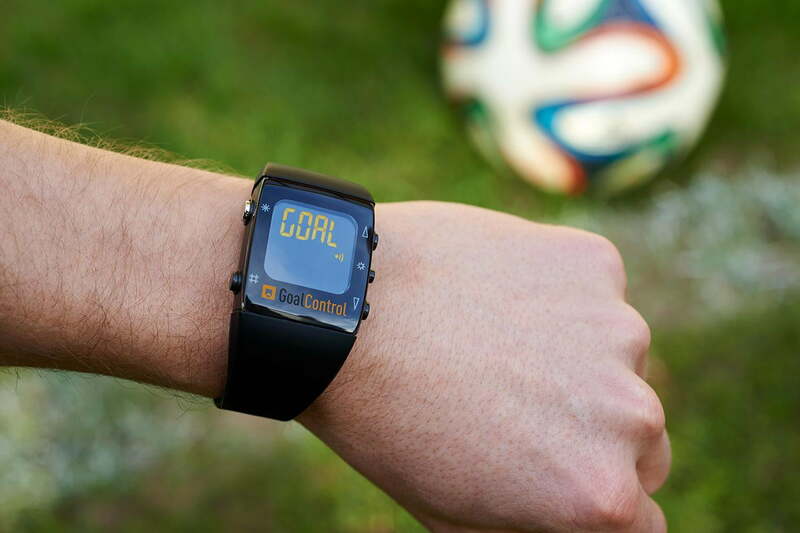 At last, goal-line technology has arrived at the World Cup. 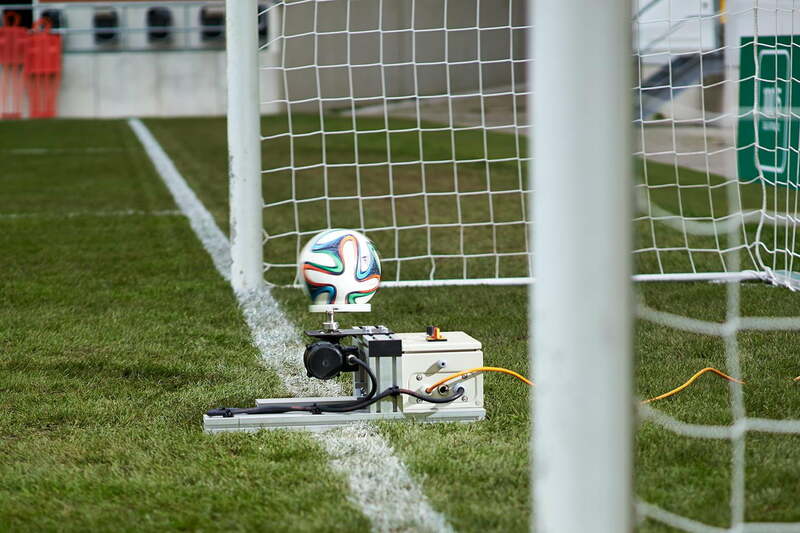 The German company GoalControl will outfit each of the 12 venues in Brazil with GoalControl-4D, a system of cameras designed to track the flight of the ball and detect with incredible precision the moment it crosses the goal line. A set of seven cameras at each end of the stadium are trained on each goal, arranged to provide complete coverage of the penalty area. Every time the ball enters the box, the cameras go to work, a septet of guardians against controversy working up to 500 frames per second. From there, sophisticated computer processes go to work. 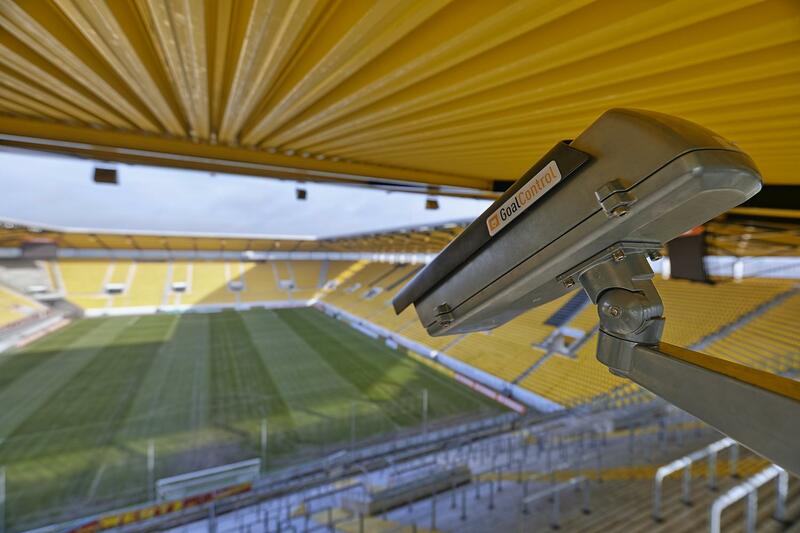 The system, says Broichhausen, who was inspired to develop the system thanks to a bad call in Germany’s second division back in 2009, is accurate up to 5 millimeters. That’s about 1/5th an inch for the metric averse, or the width of a standard pencil eraser for the visual crowd. The use of X-Y-Z tracking in sports isn’t brand new. NBA fans might recognize a similar system in the form of SportVU, the camera-and-software data gathering tool now deployed in every arena across the league. But where SportVU tracks the game and mines endless amounts of data, it doesn’t direct game play. A closer cousin to GoalControl would be the Hawkeye system used in tennis to determine line calls. 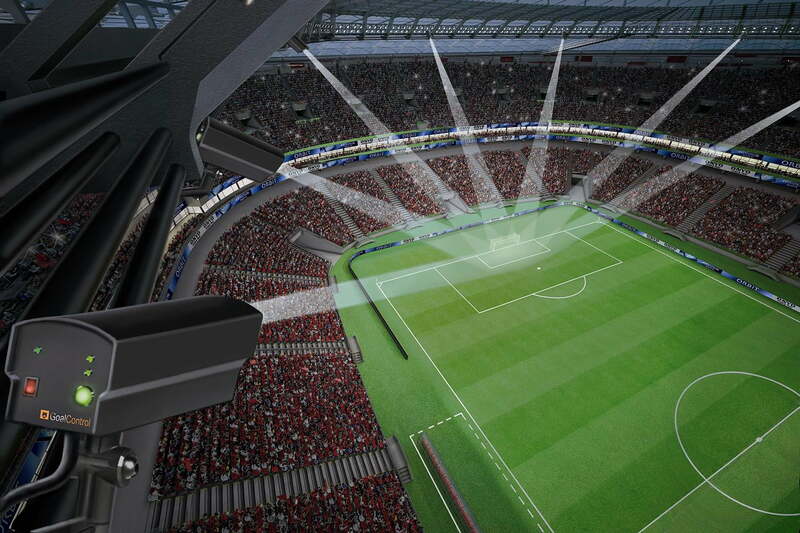 The company wouldn’t reveal the costs for installing and running the system during the World Cup, but it’s not cheap, particularly when considering the fairly reasonable chance GoalControl-4D might not even be required to determine good goals at any point in the tournament. Incidents like the one robbing Lampart and England are relatively rare. But given the monumental significance of the World Cup as a global event, there’s no way FIFA could credibly hold the tournament without utilizing available technology. Were the results of a key match to turn on a bad goal call — particularly one involving the host country — the fallout could be catastrophic. GoalControl, then, amounts to a high-tech insurance policy. Like all insurance, the hope is that it’s never actually used. Better to pay the premiums than absorb the disaster. Is Porsche working on a little brother for the Boxster?